Does consuming fiber really lower blood sugar? How much? How many grams of fiber do you need each day? 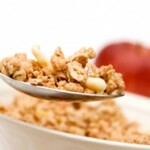 What’s the difference between soluble fiber and insoluble fiber?